GRTTWaK, The Moth, Rowers Reading Series, All 4 Love, Mouth Piece Storytelling – OH MY! Hello February! Tis the month for LOVE! Well, every day is for love, really, but as we’re all turning grey like the recent skies, it’s fun to have LOVE as the thing that helps us through this dreary month. And look – the sun is actually shining today! Yes, that’s a blue sky too! Oh boy! Here’s what’s on my roster over the next couple of weeks…join in, come and watch, help promote – I appreciate it all! As always, spread the love, people, spread it good and wide! Show starts: 7:30pm. *Sold out*…but you can keep checking to see if tickets open up! If you haven’t heard of this podcast born out of incredible LIVE shows that take place across the country – well, you’re welcome! Hosted by Dan Meisner and Jenna Meisner, this is a show where grown ups read things they wrote as kids. Diaries, letters, stories, poetry – it’s truly a unique, emotional, hysterical experience! The grown ups who are reading are all from around here – me included! Come on out and enjoy a live show you’ll never forget! All 4 Love Poetry, Music, Dinner Valentine Date Event! 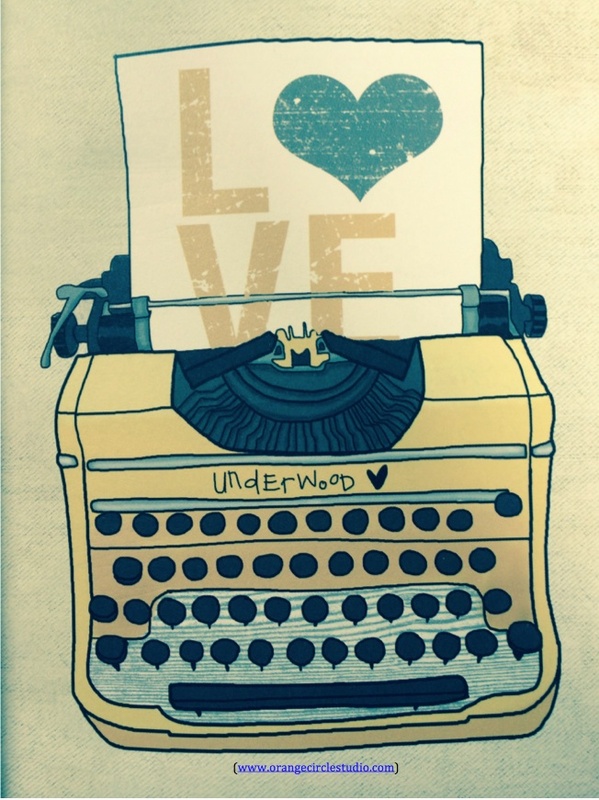 Live poetry and music, dinner, wine, and love, love, love! 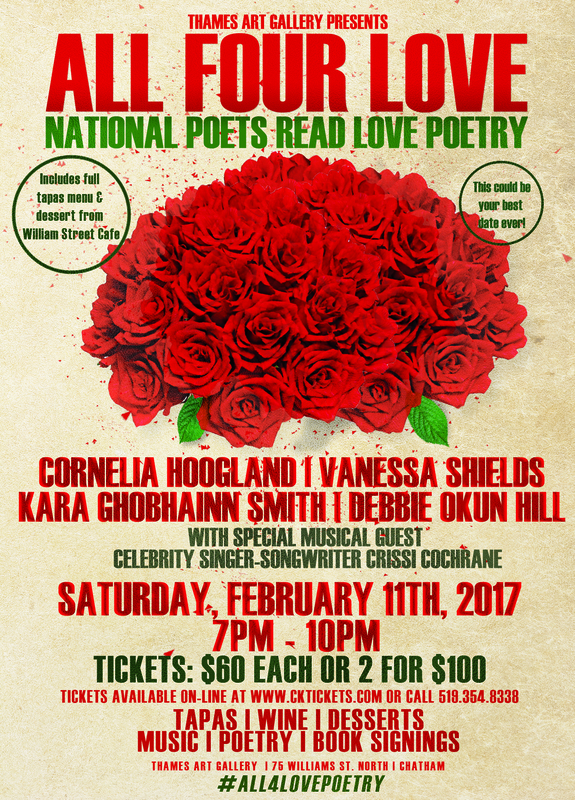 Poets will be reading love poetry – including me and I’m doing Love Poetry on Demand! – and Crissi Cochrane will be singing original love songs. Featuring Deb Hill, Kara Smith, and Cornelia Hoogland! The event takes places in Chatham at the Thames Art Gallery! Tickets are $55 – what a deal! Includes all the entertainment, dinner and prizes. Black Moss Press writers read! An Urban Farmhouse Press event. 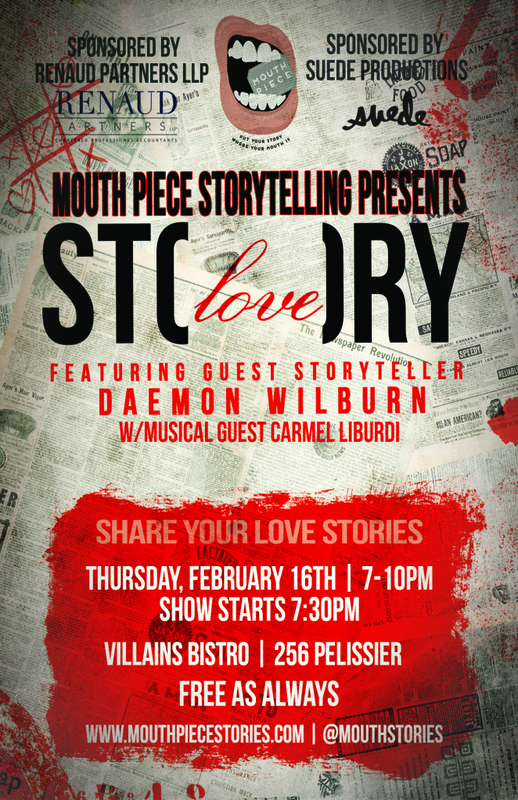 Mouth Piece Storytelling – The Love Edition – 2017 Season Opener! Featuring Guest Storyteller Daemon Wilburn and musical guest Carmel Liburdi! 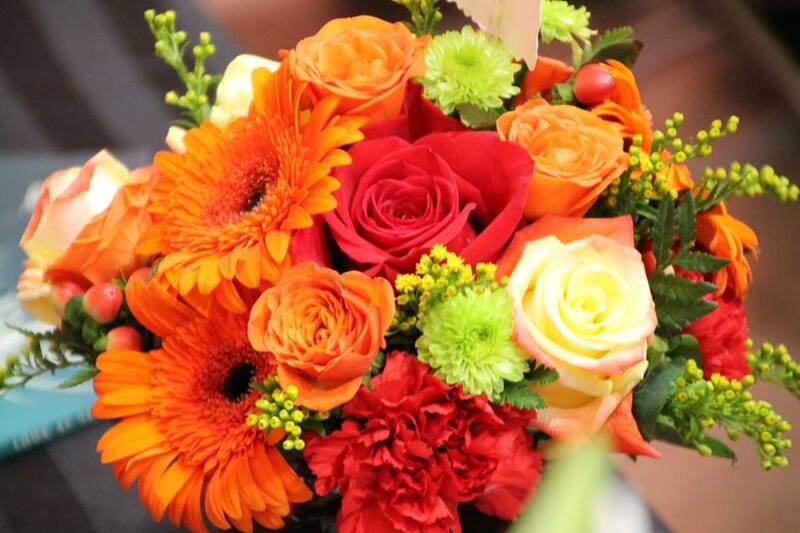 Indeed – it’s a busy month filled with fun events all for love! Thanks for staying connected! I hope to see you at one of these fine events! Previous Post The Look At Her Book Launch,Tour, Life Mega Thank You! 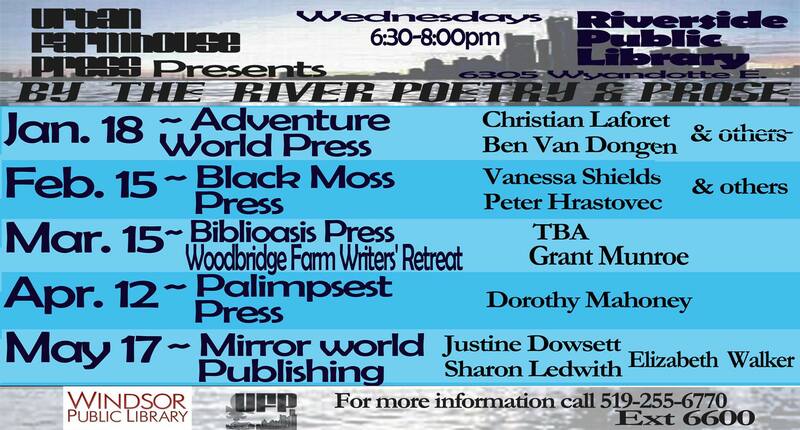 Next Post Rowers Reading Series – Up Next!